Ask a local resident in Eastern Washington about Mt. Spokane and they will assume you are talking about its skiing slopes, hiking trails or campgrounds. Ask about what else it might be famous for you will most likely draw blanks but a hint of its notoriety can be found in the name of one of its ski trails, B-29. In fact Mt. Spokane State Park is home to a cluster of plane crashes including one that brought national attention due to the number of fatalities. The accident the ski trail is named after occurred on November 13, 1947 at approximately 9:45 p.m. when a B-29 strategic bomber on a routine training flight out of Spokane Army Airfield (now Fairchild Air Force Base) crashed into Mt. Spokane near the Bald Knob area. Out of its seven man crew only two would survive the crash, Sergeants Marshall Fine and Truman Haley. The remote location, the severe damage to flight instruments, and no surviving pilots left investigators to determine the crash was a result of pilot error. On September 10, 1962 while turning in for a final landing approach to Fairchild Air Force Base a KC-135 Stratotanker disappeared from radar while over Mt. Spokane State Park. This plane was from Ellsworth Air Force base near Rapid City, South Dakota and had in addition to its regular crew carried thirty-eight airmen, one civilian and one soldier. The airmen were temporarily transferred to Fairchild while Ellsworth was undergoing runway repairs. The crash site was found at 4 p.m. on the northeast side of the summit of Mt. Kit Carson which is located southwest of Mt. Spokane. With forty-four fatalities, this crash remains Spokane County’s worst aviation incident and was the worst accident for a Boeing C-135 at the time. Air Force investigators concluded that it was the result of a navigational error combined with adverse flying conditions. The pilot, due to inclement weather, was flying on instruments and failed to level off at the correct altitude while descending for a final landing approach. They flew straight into the mountain side. The last big crash to occur at Mt. Spokane happened on January 19, 1967 with the same type of aircraft and under similar conditions. A KC-135 out of Hickam Air Force Base, Hawaii with nine passengers and four crew disappeared from radio and radar contact around 6:00 p.m. while on final landing approach over Mt. Spokane State Park. The crash site was found the next day near the top of Linder Ridge with no survivors. The reasons for the crash remain a mystery since the Air Force stated that the cause would be classified, and the information withheld from the public. However the Air Force also recommended changes to particular instrument procedures to prevent further accidents of this type. The 1967 KC-135 accident is the last major crash to occur at Mt. Spokane State Park with roughly sixty people in total having perished in airplane accidents that have occurred in the state park. The common theme tying these accidents together is that they all occurred when visibility was poor, forcing the pilots to rely on instruments. In addition, a common route for aircraft making a landing in airfields in Spokane county overfly the Mt. Spokane area during their final descent to a landing approach. Errors in navigation, poor visibility and improper altitude is a fatal combination during a planes landing descent. Advances in air traffic control, flight instruments and procedures have made these accidents less common than they used to be in the past, painful lessons purchased though lives lost from these types of accidents. Aerial photograph of Mount Spokane ~ Source: Photograph courtesy of the Washington State Digital Archives, State Library Photograph Collection, 1851-1990. 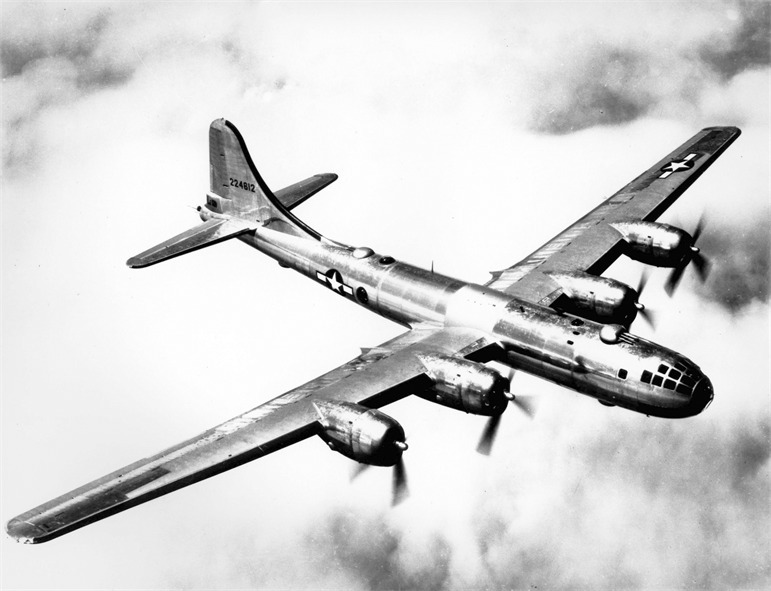 B-29 Superfortress. : An aircraft of this same type crashed into Mount Spokane on November 13, 1947. ~ Source: Photo courtesy of the U.S. Air Force Photos image database. 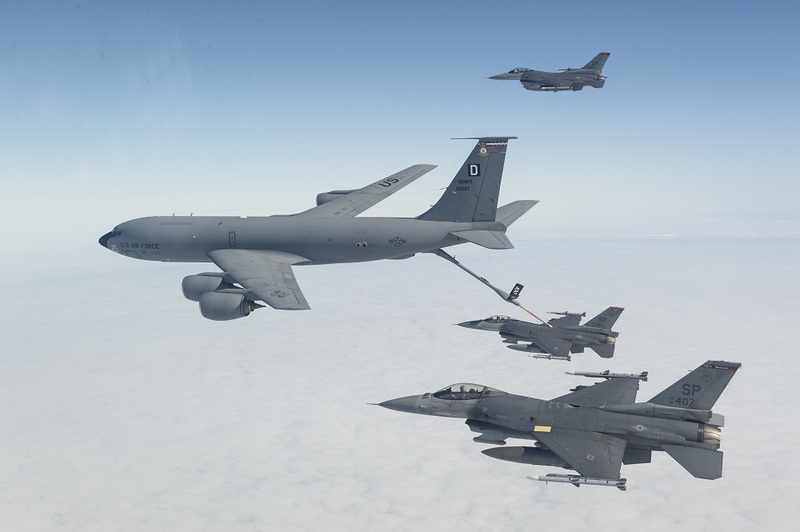 KC-135 refueling F-16s. 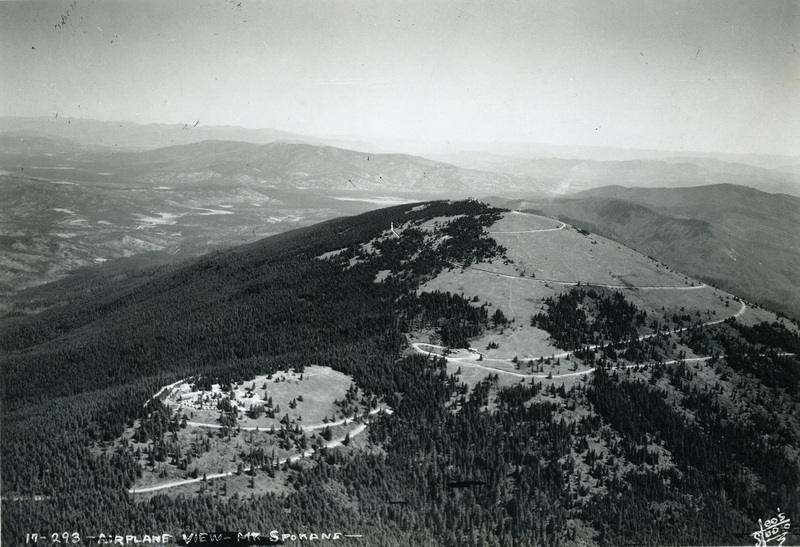 : Two KC-135s crashed in the Mount Spokane State Park only a few years apart in the 1960s. ~ Source: Photo courtesy of the U.S. Air Force Photos image database. The crash sites in this article are approximate, the remote location of the sites hampered rescue efforts and limited recovery of debris. Please do not remove any material from these sites. 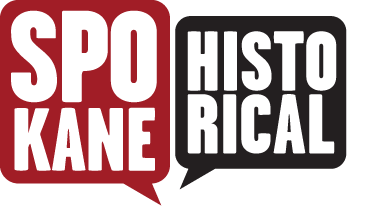 William Holmes, “Plane Crashes in Mount Spokane State Park,” Spokane Historical, accessed April 19, 2019, https://spokanehistorical.org/items/show/706. Camden, Jim. The Spokesman Review. "50 years ago, 44 men died when KC-135 crashed before landing," 9 September, 2012 available at http://www.spokesman.com/stories/2012/sep/09/ten-minutes-from-home/. Jonckers, Jon. "Mt. Spokane Plane Crashes: A Backcountry Adventure," Out There Monthly (August, 2010) available at http://www.outtheremonthly.com/mt-spokane-plane-crashes-a-backcountry-adventure/. - "Update: Plane Crashes on Mt. Spokane," Out There Monthly (September, 2010) available at http://www.outtheremonthly.com/update-plane-crashes-on-mt-spokane/. McClary, Daryl C., from The Free Online Encyclopedia of Washington State History website HistoryLink.org. "U.S. Air Force KC-135 Stratotanker crashes near Spokane, killing 44 airmen, on September 10, 1962," available at http://www.historylink.org/File/8473. - "U.S. Air Force KC-135 Stratotanker crashes in Mount Spokane State Park, killing nine airmen, on January 19, 1967," available at http://www.historylink.org/File/9017.